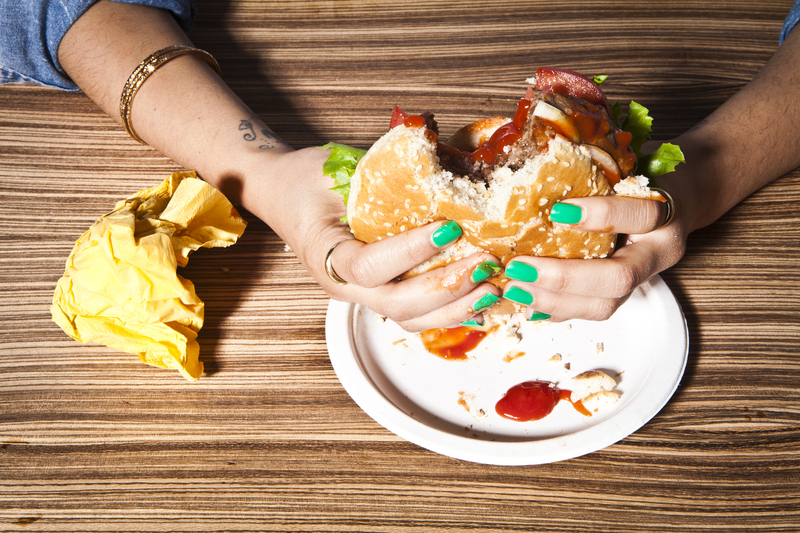 You probably didn’t need another reason to avoid fast food, but a prominent British researcher has one for you. While highly processed ingredients and huge portions typically aren’t doing you any favors, new information says they can also kill off beneficial gut bacteria that help burn calories. The findings are the result of research into the links between gut bacteria and health conducted by genetic epidemiology professor Tim Spector of King’s College London. He found that diets composed of a relatively small number of ingredients, most of which are highly processed, are toxic to these bacteria. In fact, many of them can die off within days of beginning such a diet. Spector will elaborate on the research in his upcoming book, “The Diet Myth: The Real Science Behind What We Eat,” which focuses on the role that a diverse diet plays in fostering a healthy microbes in the human body. In one study discussed in the book, Spector enlisted his 23-year-old son, Tom, who agreed to spend 10 days eating nothing but McDonald’s chicken nuggets, fries, burgers and Coca-Cola. “Before I started my father’s fast food diet there were about 3500 bacterial species in my gut, dominated by a type called firmicutes,” the younger Spector, a genetics student told The Australian. “Once on the diet I rapidly lost 1,300 species of bacteria and my gut was dominated by a different group called bacteroidetes. The implication is that the McDonald’s diet killed 1,300 of my gut species,” he said. This discovery suggested to his father that many cases of obesity may not simply be due to overeating. “Microbes get a bad press, but only a few of the millions of species are harmful and many are crucial to our health,” Professor Spector told The Australian. Previous studies made similar findings: Professor Rob Knight of the University of Colorado Boulder, who collaborates with Spector, famously showed that transferring gut bacteria from obese humans to mice could make the rodents gain weight. Spector’s book claims that the diversity of microbes in the human body has decreased almost a third over the last century. But there’s also good news: Foods like dark chocolate, garlic, coffee and Belgian beer may help increase gut microbes.